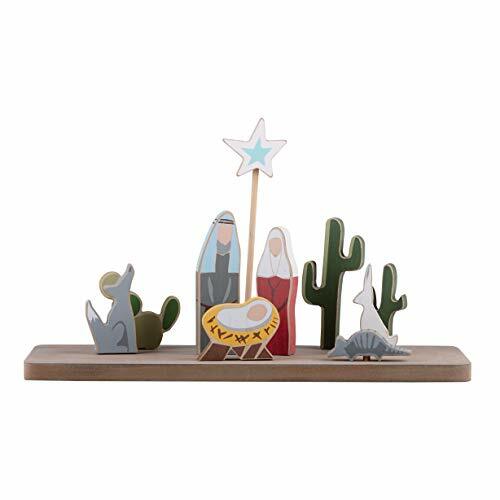 Glory Haus Nativity stand, decorative holiday Nativity scene for display in any room, high quality item, colors work in most any home decor, goes well in any room of your house or office. Glory Haus products inspire and encourage with a collection of more than 2, 000 items such as ceramic ornaments, wall art, picture frames, canvases, jewelry, mugs, pillows collegiate products and more. Talented artists collaborate with the design team to create unique and quality brands to share hearten messages of support and happiness for many years and generations to come.